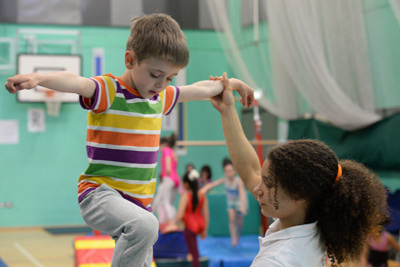 Our General Gymnastics classes are designed to help children develop a range of fantastic physical and life skills in a fun and safe environment. As a sport, gymnastics requires balance, strength, flexibility, agility, coordination as well as endurance, control and stamina. Our experienced and fully-trained coaches work with all abilities to bring out the best in each child and encourage them to enjoy getting fit and being active. Classes typically involve exercises on the beam, floor and vault. 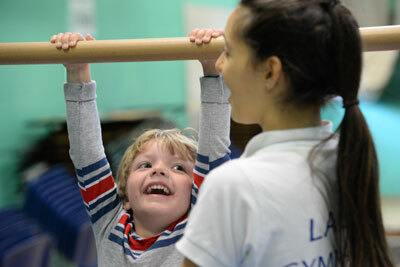 Starting with basic fundamental shapes, children will progress onto rolls, cartwheels and handstands. Ultimately the participants will move onto leaps, flips, turns, somersaults and more. At LAGAD our aim is for all participants to fully enjoy the classes and develop their skills, whatever their age or ability. "I just want to say thank you for the great time my daughter has had at LAGAD over the last few years, the experience has really developed her passion for gymnastics."